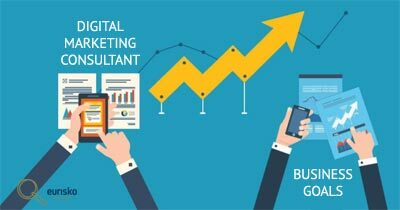 Could Your Business Benefit From Hiring A Digital Marketing Consultant? Mike Bullen is a digital marketing consultant and customer acquisition specialist who has developed a range of technical and creative skills, working with some of Perth’s biggest brands. Available for one-off projects, short-term contracts or long-term engagement, we are here to help you to deliver on your digital goals. The role of a digital marketing consultant is quite a diverse one. Eurisko can help in many different areas of digital marketing and online business. From digital audit through to digital strategy, we ensure that your business is utilizing the best online marketing strategies to reach your best customers and generate leads on the right platforms. New opportunities for your business to engage with existing customers and attract new ones. Evaluate existing digital marketing, including Google AdWords, Facebook Ads, social media, SEO, and email marketing. We can take your existing activity and create a more effective, inclusive digital marketing strategy. Improve your organic branding and Local SEO so that it aligns with your customers and prospective customers needs and values. Improve client acquisition, engagement and monitisation. We focus on a number of earned, owned and paid media channels to get you more leads. Optimise and amplify your content across multiple platforms, such as blogs, social media and website landing pages. Use proven SEO techniques to ensure that all content is search engine friendly and ranks the pages and site highly in Google. Manage marketing campaigns run via email, social media, mobile marketing, and local marketing. As certified Google Specialists, we use a range of Google Tools to monitor success and ensure that optimal results are achieved. At the bare minimum, this would include Google Analytics, Google Webmaster Search Console & Google Business. The biggest benefit of working with Eurisko and our digital marketing consultants is that we wear many “digital” hats and can help you deliver all of the digital needs of your business. More importantly, you’ll have access to a digital specialist who can help you with small website updates, campaign fixes, advice and recommendations that will help your business thrive.